Summer is my favorite time of the year. Lazy days, cheap popsicles and sandy toes are all I need for a great summer. A little extra money wouldn’t hurt, either. Summer is the perfect time to pick up a little extra spending money. Did you know there’s free cash out there waiting to be claimed from class-action settlements? It’s the easiest money you’ll make this summer. Filing for settlements usually only takes a few minutes, and you could get a check in the mail or other compensation just by clicking on the few links below. Some settlements have big payouts, and others pay just a few bucks. But so what if it only pays for a churro at Disneyland? At least it’s cash you didn’t realize you had coming to you. Let’s find out what companies owe you money. Did you buy Instaflex Joint Support supplements? If so, you could benefit from a $4.5 million class-action settlement. Consumers accuse Direct Digital, the manufacturer of Instaflex Joint Support, of making misleading claims like “scientifically formulated” and “clinically tested” on its labels. The plaintiffs claim these deceptive claims violated various states’ consumer protection acts. The Instaflex settlement will allow consumers to recover up to $15 per bottle for up to seven bottles — that’s a maximum of $105 — per household. Consumers who received a free Instaflex sample and paid for shipping can claim up to $5. If the total claims exceed the settlement amount, then claimants will receive a prorated portion of the $15 or $5 payout. To benefit from this settlement, consumers must file a claim form no later than Sept. 5, 2017. The settlement website does not indicate whether consumers need to submit a proof of purchase with their claim or not. If you received a call or text from Wells Fargo Dealer Services Inc. (a division of Wells Fargo Bank) between April 1, 2011 and March 30, 2016, you could get a portion of a $14.8 million class-action settlement. Wells Fargo was accused of violating federal law by using an automatic telephone dialing system to send out robocalls and unwanted texts to consumers concerning an automobile retail installment sale contract. A class-action lawsuit claimed Wells Fargo violated the Telephone Consumer Protection Act by placing calls to consumers without their prior express written consent. 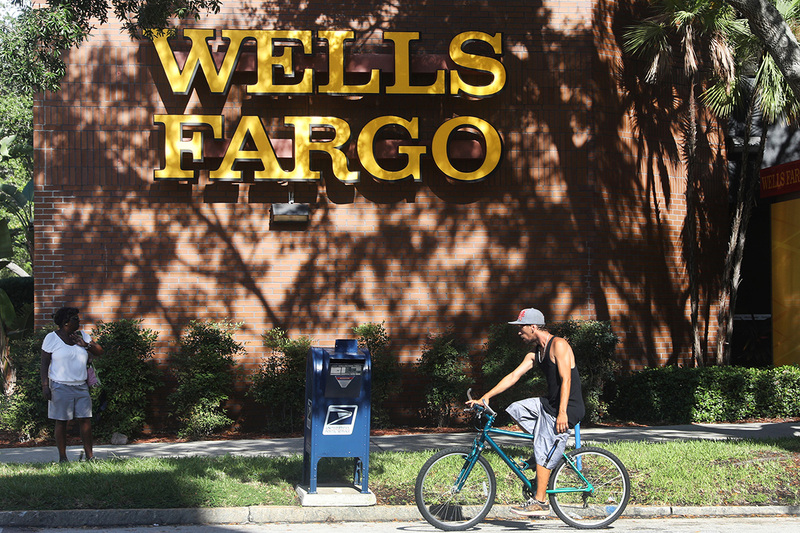 Wells Fargo denied the allegations but agreed to settle the litigation by paying $14.8 million. Class members who file a valid claim form by Sept. 20, 2017 are expected to receive a check worth somewhere between $20 and $50 from the Wells Fargo settlement. Are you a Staples Rewards member who made a store purchase between March 24, 2009 and April 25, 2017? If so, you could get $10 in Staples Rewards from this class-action settlement. A class-action lawsuit challenged Staples’ practice of applying product-specific coupons to the value of all items in a transaction, thereby lowering the amount of reward points a customer receives. The plaintiff says he bought bottled water for $4.49 and two packs of sanitizing wipes for $3.99. He then used a $1.50 coupon for the water. Later, when the plaintiff logged in to check the status of his Staples Rewards points, he noticed the coupon was applied across the entire transaction. This resulted in the plaintiff receiving $7.02 in points instead of the expected $7.98. The class-action lawsuit claimed Staples engaged in unfair business practices by not informing customers that it applies coupons across the entire transaction, lowering the amount of Staples Rewards earned. Under the terms of the settlement, Staples has agreed to pay $500,000 to $2 million in Staples Rewards points to affected customers. Staples customers who file a claim form by July 24, 2017 are eligible to receive their $10 in Staples Rewards. Eligible class members include all U.S. Staples Rewards members who, between March 24, 2009 through April 25, 2017, bought a Rewards-eligible product and a non-Rewards eligible product in the same transaction, used an item-specific coupon on the non-Rewards eligible product and received fewer reward points due to Staples’ pro rata coupon accounting. California residents who received a phone call from HSBC Card Services and were not told ahead of time the call may be recorded or monitored will benefit from a $13 million class-action settlement. The HSBC settlement resolves allegations from three separate class-action lawsuits all claiming that the banking giant violated California state law by not informing call recipients that their conversations were being recorded. All Californians who received a recorded or monitored call from or on behalf of HSBC Card Services Inc.between March 23, 2009 and May 1, 2012 are eligible for this settlement. If you received an email or notice regarding this settlement, there’s no need to submit a claim form. However, if you did not receive a notice by mail or email and believe you should be included in the settlement, you must submit a claim form no later than Aug. 28, 2017. The payout each person receives from the HSBC settlement will depend on the number of recorded calls they received during the class period. PennyMac customers who were charged for force-placed insurance can get a cash payment or credit toward their loan from this class-action settlement. If PennyMac charged you for a flood, wind or hazard insurance policy between Feb. 1, 2011 and Oct. 18, 2016, you can benefit from this PennyMac settlement. Lenders can issue force-placed insurance policies if they don’t believe there’s enough coverage to protect the property. However, a class-action lawsuit claimed that PennyMac was receiving kickbacks or unauthorized benefits from the insurance company writing these lender-placed insurance policies. PennyMac denied the allegations but agreed to settle the class-action lawsuit to avoid the expense of ongoing litigation. Under the terms of the settlement, if PennyMac charged you for force-placed insurance from Praetorian, QBE Insurance, Balboa or Meritplan, you can receive a sum equal to 5.5% of the net premium. If PennyMac force-placed a policy from QBE Specialty, Seattle Specialty or Southwest Business Corporation, you will receive a payout equal to 10.5% of the net premium. Class members have until July 13, 2017 to file a claim for this class-action settlement. Melissa LaFreniere is the news editor of TopClassActions.com. She spent her last settlement check on a churro at Disneyland. It was delicious.